The World Marketing Summit has recognised Nelson Mandela Metropolitan University Business School Director Steve Burgess with an award for outstanding contributions to marketing education. The World Marketing Summit annually brings together top marketing scholars and leaders from Business, government and non-profit organisations to discuss important global problems, under the orchestration of Professor Philip Kotler. Kotler has authored more than 100 scholarly articles and 40 books selling more than 4 million copies worldwide. He is widely acknowledged as the most influential marketing scholar of all time. This year, the three-day summit focuses on the role of marketing in achieving Millennium Development Goals. 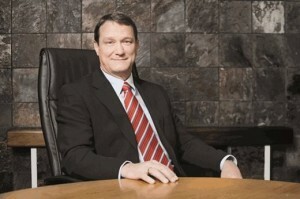 Burgess serves on several international boards and has been recognised with several awards during his career. He has worked collaboratively in several teams conducting research in 70 countries. He is especially recognised for pioneering the scholarly paradigm of marketing and research in emerging markets, departing from mainstream academic views in domains such as consumer behaviour, branding, cultural values and strategic orientation. The research has helped to shape our understanding of the emerging markets context and its effects on business theory and practice. During his career, Burgess has promoted positive change in South African universities and business schools, serving formerly at Wits and UCT Graduate School of Business as well as Ohio State and North Carolina at Chapel Hill. Last month, after a rigorous audit, NMMU Business School became only the second school on the African continent to receive membership from the prestigious European Doctoral Programmes Association in Management and Business Administration (EDAMBA). The School also hosted the prestigious annual Emerging Markets Conference Board conference and doctoral consortium. The NMMU MBA is being ranked among the top 200 on the prestigious EDUNIVERSAL worldwide MBA rankings. The School also was recently honoured with a “Business School Leadership Award” at the 3rd annual Asia’s Best Business School Awards in Singapore, recognising thought leadership. “Cutting-edge contributions in education and academic engagement are constantly being made by our faculty. For example, we create and host platforms which foster spirited dialogue and debate on critical economic, environmental and social issues, attempting to empower our constituencies as agents of change. We introduced an ecological leadership programme where MBA students discovered aspects of their leadership by immersing themselves into nature. We also have an African leadership module on the programme which alive to our context. “We will move into Africa’s first 4 Green Star rated business school before year end. It will be the official benchmark for other construction projects in the country,” he concluded.